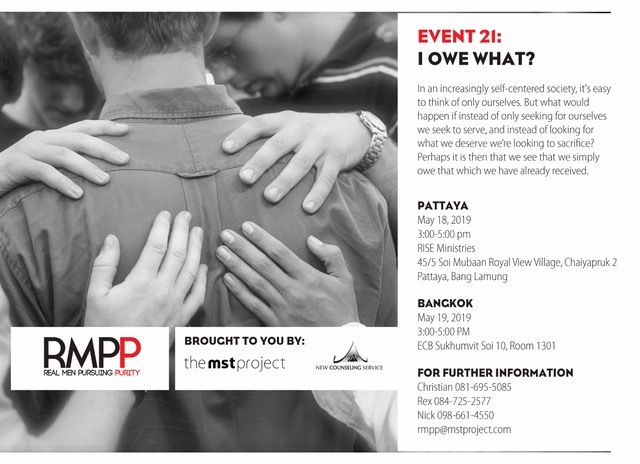 Event 21: I Owe What? Synopsis: In an increasingly self-centered society, it's easy to think of only ourselves. But what would happen if instead of only seeking for ourselves we seek to serve, and instead of looking for what we deserve we’re looking to sacrifice? Perhaps it is then that we see that we simply owe that which we have already received. 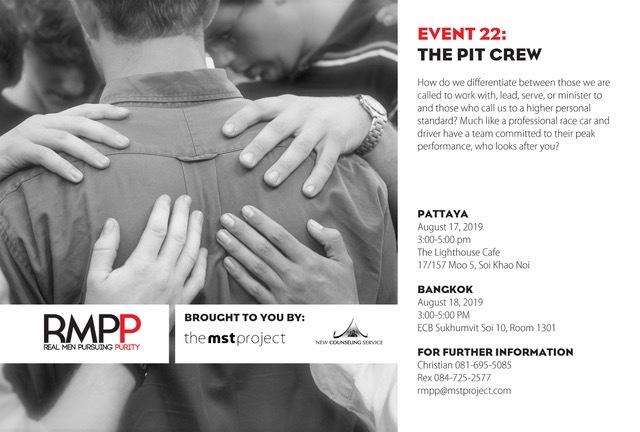 I would like to receive regular email news updates from The MST Project. Synopsis: How do we differentiate between those we are called to work with, lead, serve, or minister to and those who call us to a higher personal standard? Much like a professional race car and driver have a team committed to their peak performance, who looks after you? Event 23: Where Am I Headed? Synopsis: On this journey called life, we will encounter many twists and turns. How then can we calibrate our GPS so as to avoid unnecessary detours, missed turns and dead-end streets and instead reach our destination safely? "To create a long-term mentorship environment for men."